but still, i love it... great sound great image quality and great design!!! theses bugs are really annoying, otherwise it would almost be the perfect phone! I tried the 1GB Memorycard - and it works! ! ! The 1GB is much faster than the 512MB Card. 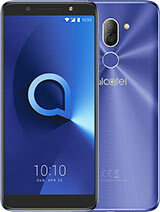 Very very good Alcatel! Congratulation on your newly received phone MPU, THWS. By now I already owned this phone for 2 months with some frustation due to slow response + always hang( frequently need to remove + reattach the battery). Even when playing mp3/ video it suddenly stop + freeze. Some minor problem too like blurry picture at megapixel resolution & so on. 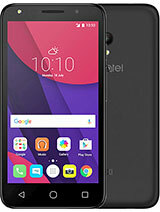 None of my previous 4 alcatel phone behave like this so I assume this phone will also behave like usual alcatel phone & subsequently bought it for me & my wife. 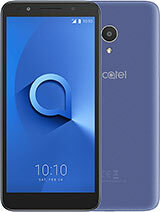 friend with rival phone jealous + admire at same time)& it still maintain the legendary alcatel style contact management (which I think is more superior to many Nokia / SE phone). For new user the customise video from the pc suite 4.18 is not recommended due to poor sound quality of the converted file (although video streaming is smooth). Better use other mp4/3gp converter. I am using mpegable broadcaster which give high quality AAC sound. Other user have used software like xilisoft converter. 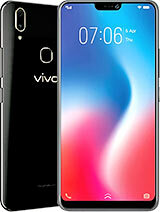 It is quite important to get some converted video in your phone as it can be assigned as a personal ringtones( it is called as videotones here)- this feature will also make your friend jealous as well because when the caller that was assigned with videotone calls, his/her name will appear followed by the playback of your chosen video (very cool right?). As you already know normal midi/mp3/m4a ringtones can not be assigned as personal ringtones( only for contact group ringtones). Please, anyone send me some photos made with the phone at 1.3 MPX resolution and at VGA resolutio, if possible. Thanks. Wap or web for games? @MPU: OK - I'll try the 1GB card later - I am going to post my result here. Where I can download games in www? Could someone give me a link to a site? Thnak you for the explanations you gave. 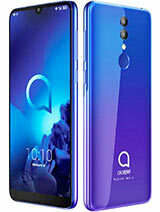 I really must try this phone if you say it has great features. On the other hand, I want to say that I want to test the Video telefony feature. 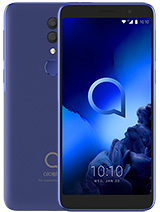 Does anyone know if Alcatel plans to implement it in a phone? The problems must be in the software, as there are some already. Actually the phone became kind'a lazy, slow moving. The voice memo being recorded with a pause at the beginning and at the end, the PC Suite works much slower than the 757. I haven't shifted from the 757 to 853 completely yet, but what I found so far slightly irritates. Maybe it's a matter of habbit, as I noticed the Nokia 6680 acting kind'a slowly as well. Again forggeted the name.. :D sry.. Hope so the problem is in the software,not in the hardware. Will see. Please try the 1 GB card. 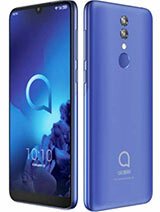 I am about to go mad, as I have a "blank standby screen" bug and now it seems that Alcatel 853 should support the 1 GB card, yet mine does not. Please, send me some photos of OT-S853 at gpf1@yandex.ru ! Well, my phone does not support the 1 GB card. Although there might be a chance that the Apacer's 1 GB module was defect, yet I doubt it. So I took the Transcend 512 MB. When I am going to create a video with the video-programm of the pc-suite I get an Error - what can I do? The rest of the programm is working perfect. WOW - the sound of this phone is great!!! I am really surprised about this phone. I did not find a possibility to rewind a video that is played back. Just play and watch. It's said in the English manual that the phone supports only 512 MB card? Why is that? I suppose the specifications exaggerated this. the Alcatel phones are especially good for calling records. You press the "pick up" button and you see the last made calls. By moving to the right with the cursor you immediately see the missed and attended calls. The remote control is a replication of the MP3 player control buttons that you see on the side of the S853. It's like a clip that you can attach to your shirt or jacket. There is a cable from the remote control to the phone and the remote control has a standard 3.5mm jack to connect any standard headphones from other MP3 players (there is also one delivered with the phone). In addition to that the remote control with connected headphones serves also as a handsfree.